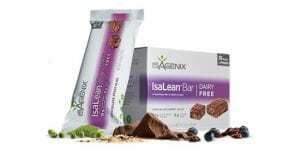 IsaLean Bar Dairy Free- Isagenix NZ – Cheapest Prices! Dairy free Isalean bars are exactly the same as our delicious regular IsaLean protein bars, but without any animal-based products, to offer the same amazing health benefits to those who choose a vegan or kosher lifestyle. These top-quality bars offer them as much protein as our regular bars with an even greater fibre content (due to the use of plant-based products) to ensure that you’re building muscle, losing fat and improving both digestive and metabolic health. We believe the dairy-free bars reflect our philosophy of accessible, inclusive products: everyone should have the opportunity to improve their health and take back control of their diet. IsaLean dairy-free: why the hype about plant-based protein bars? Our regular IsaLean protein bars are amazing by themselves, and our dairy-free bar takes this amazing formula and revolutionises it once more with no animal products and even more fibre. These bars provide between 8 and 11 grams of fibre per bar, depending on the flavour, which is as much as 400g of bananas! In combination with the amazing 18 grams of protein per bar, we’re confident that our dairy-free bars are the best on the market. The dairy-free IsaLean bars are available in three flavours: chocolate berry bliss, chocolate peanut butter and chocolate coconut-almond. These flavours are totally varied from refreshing coconut to indulgent chocolate berry, with totally unique flavours that everyone can enjoy. Plant-based foods are high in fibre, providing massive 8-11 grams of fibre per bar! 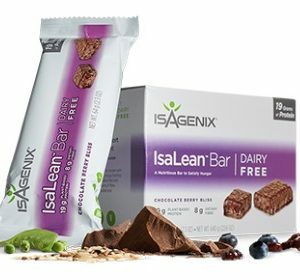 Our dairy-free protein bars have all the amazing health benefits you’d expect from Isagenix’ IsaLean bars – they provide a huge boost of protein and fibre to ensure that you’re losing fat, building muscle and enjoying great health. The high protein content means better metabolism, improved muscle-building, reduced bodyfat and a much better recovery between training sessions. The fibre content means better metabolism and digestion, keeping your regular and healthy throughout the day. These bars also provide a great satiety, keeping you fuller for longer to make the whole diet process easier. IsaLean bars are safe and legal, and the dairy-free version is likely to be even better for you through the inclusion of more dietary fibre. 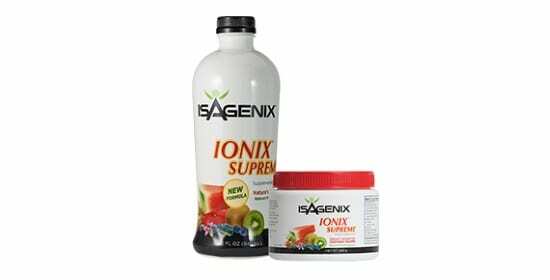 These are manufactured with the highest-quality plant ingredients and contain no unhealthy, controlled or controversial substances. 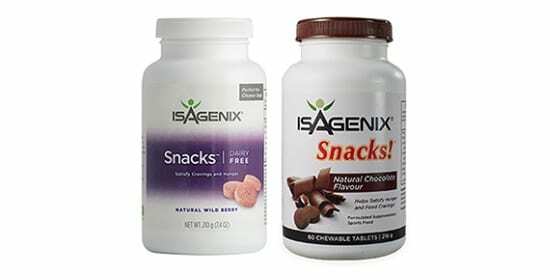 Each of the individual flavours has their own allergen details and you can find a list of the allergens present in each Isagenix product here. IsaLean bars are an amazing choice at any time of the day – we recommend using them to replace the sugary, junk food snacks in your diet. 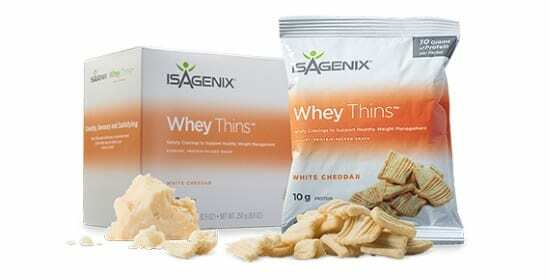 They are also a great decision after a tough workout to immediately refuel the body and build muscle. We’re incredibly proud of our IsaLean bars, and none more than the dairy-free products that allow us to bring the amazing effects to vegan and kosher individuals. Whether you eat animal products or not, our dairy-free protein bars are an amazing choice to boost health, performance and improve your physique!